Givatayim Theater is a theater and center for the arts in Givatayim, Israel. The deconstructivist building, by architects Bracha Chyutin and Michael Chyutin won the Israeli Rechter Prize for architecture in 1996. At the corner of Peace Road and through the Yitzhak Rabin Public compound at the time called ” ma’am ” and today compound Ward, an elegant structure was built which won the Rechter Prize for Architecture in 1996 and widely acclaimed impressive architectural design . The building was designed by architects Bracha pair Michael Chyutin style “post Konstrooktioionizm ” and was built by the City Givattayim through a target , Economic Corporation , which takes care of the quality and integrity of the structure .It is a system of halls and elegant , spacious porches respecting the following audience and Jobs atmosphere of cultural and amenity .On July 23, 1998 , officially inaugurated the building Givataym Theater . 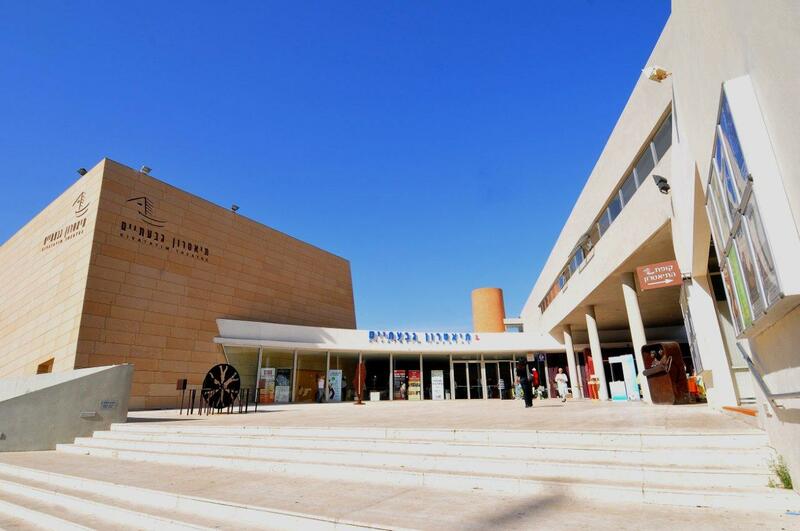 ” Early in 1999 the theater became the center Givattayim vibrant arts and culture . Today Giv’ataim theater includes three halls – the Great Hall , small auditorium named ARBELI – Almozalino and theater club .Theaters host a rich variety of activities : plays, concerts , jazz, world music , entertainment , dance , lectures , plays and children’s shows , entertainment , fringe theater and more.Side shows and events , exhibited in galleries theater / vestibules exhibitions of local and international artists .’ Garden Theatre ‘ , is used for outdoor events , municipal events sons . Garden sculptures presented by leading artists in the country as well as temporary exhibitions . On the day serves as a beautiful garden game Fun for kids and parents.Front of the theater is located H”amfitiatron ” serves for youth activities and outdoor events . The theater is managing its activities, indoors and outdoors, on the TimeLord platform, thus enjoying features such as rooms management, resource scheduling, financial reporting, information sharing and document management for every event. In fact, TimeLord is the Theatre’s events management system.